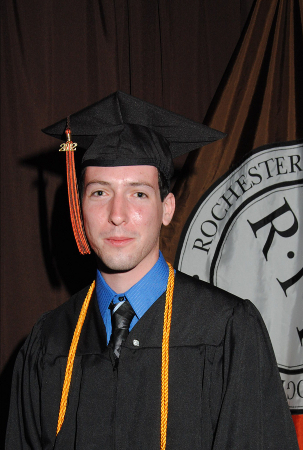 Conlan Wesson graduated from Rochester Institute of Technology in May 2012 with a Bachelor of Science in Software Engineering. Conlan's professional interests are primarily in real-time and embedded systems. While at RIT, Conlan	studied a number of courses relating to these interests, earning a minors in Computer Engineering and Computer Science. After RIT, he worked as a Senior Software Engineer for the Harris Corporation, RF Communications Division, in Rochester, NY for five years. In this position he develops software for the Falcon III software-defined radios utilizing C++ on QNX and Linux operating systems. Conlan later moved to the Seatle, WA area to work for Tethers Unlimited Inc. as an Embedded Software Engineer. He currently works on SWIFT defined radios and software-defined radios for satellites. In addition to radios, Conlan has a deep interest in space flight, space exploration, and astronomy. Conlan's senior project at RIT was a six-degrees-of-freedom flight simulator for Moog Inc. The software used an open-source flight simulator, FlightGear, to generate a 3D environment and instrument console, and received input from a dSPACE flight dynamics model via an ARINC-429 bus. The project required cooperation with three other teams of mechanical and electrical engineers.